Alejandro Jose is using Smore newsletters to spread the word online. 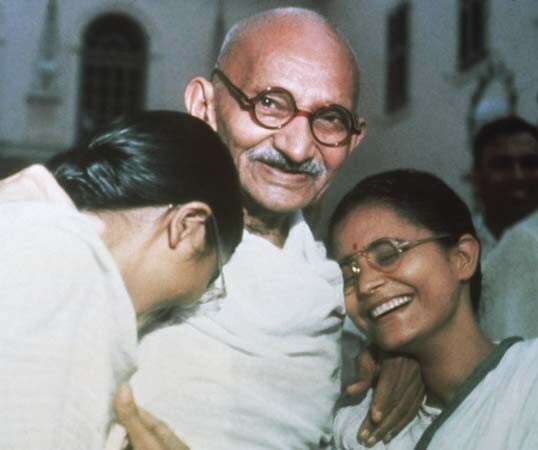 Mohandas Karamchand Gandhi, byname Mahatma (“Great-Souled”) Gandhi (bornOctober 2, 1869, Porbandar, India—died January 30, 1948, Delhi), leader of the Indian nationalist movement against British rule, considered to be the father of his country. 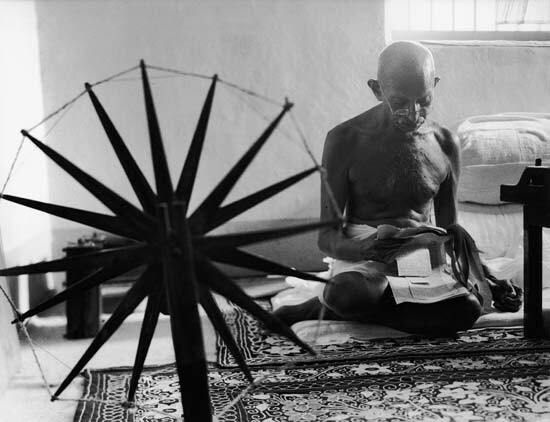 He is internationally esteemed for his doctrine of nonviolent protest to achieve political and social progress. 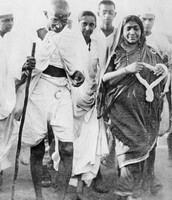 Gandhi was the youngest child of his father’s fourth wife. 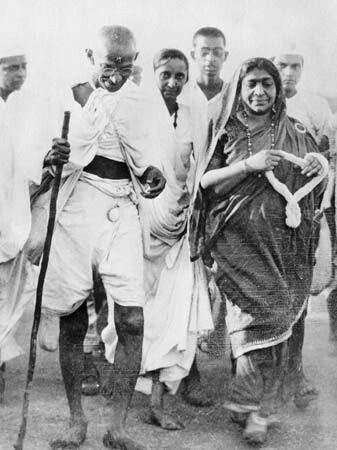 His father, Karamchand Gandhi, who was the dewan (chief minister) of Porbandar, the capital of a small principality in Gujarat in western India under British suzerainty, did not have much in the way of a formal education. He was, however, an able administrator who knew how to steer his way between the capricious princes, their long-suffering subjects, and the headstrong British political officers in power. The educational facilities at Porbandar were rudimentary; in the primary school that Mohandas attended, the children wrote the alphabet in the dust with their fingers. Luckily for him, his father became dewan of Rajkot, another princely state. Though he occasionally won prizes and scholarships at the local schools, his record was on the whole mediocre. One of the terminal reports rated him as “good at English, fair in Arithmetic and weak in Geography; conduct very good, bad handwriting.” A diffident child, he was married at the age of 13 and thus lost a year at school. He shone neither in the classroom nor on the playing field. He loved to go out on long solitary walks when he was not nursing his by now ailing father or helping his mother with her household chores. “Never again” was his promise to himself after each escapade. And he kept his promise. Beneath an unprepossessing exterior, he concealed a burning passion for self-improvement that led him to take even the heroes of Hindu mythology, such asPrahlada and Harishcandra—legendary embodiments of truthfulness and sacrifice—as living models. In 1887 Mohandas scraped through the matriculation examination of the University of Bombay and joined Samaldas College in Bhavnagar (Bhaunagar). As he had suddenly to switch from his native language—Gujarati—to English, he found it rather difficult to follow the lectures. Meanwhile, his family was debating his future. Left to himself, he would have liked to be a doctor. But, besides the Vaishnava prejudice against vivisection, it was clear that, if he was to keep up the family tradition of holding high office in one of the states in Gujarat, he would have to qualify as a barrister. This meant a visit to England, and Mohandas, who was not too happy at Samaldas College, jumped at the proposal. His youthful imagination conceived England as “a land of philosophers and poets, the very centre of civilization.” But there were several hurdles to be crossed before the visit to England could be realized. His father had left little property; moreover, his mother was reluctant to expose her youngest child to unknown temptations and dangers in a distant land. But Mohandas was determined to visit England. One of his brothers raised the necessary money, and his mother’s doubts were allayed when he took a vow that, while away from home, he would not touch wine, women, or meat. Mohandas disregarded the last obstacle—the decree of the leaders of the Modh Bania subcaste (Vaishya caste), to which the Gandhis belonged, who forbade his trip to England as a violation of the Hindu religion—and sailed in September 1888. Ten days after his arrival, he joined the Inner Temple, one of the four London law colleges.